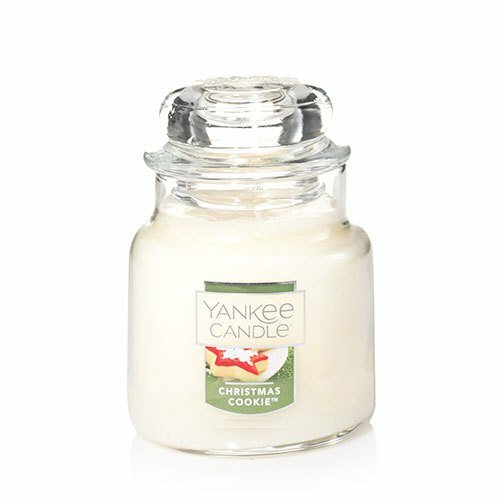 Buttery rich, vanilla scented, holiday sugar cookies.Fragrance Notes:Top: Creamy Vanilla BeanMid: Nutmeg, Cinnamon, Sugar Base: Vanilla, Butter, Baked NotesTop note is the initial impression of the fragrance, middle note is the main body of the scent and base is its final impression. About Small Jar Candles: This little 3.7-oz gem is a good pick for sampling fragrances. Although it's small, trust us--the fragrance is still big. Each is made right here in America with premium-grade paraffin of the finest quality ingredients from around the world. Fun fact--each wick is straightened by hand to ensure the very best quality burn. Who knew? (20-30 hours burn time). Top Note: Creamy Vanilla Bean. Top is the initial impression of the fragrance. Mid Note: Nutmeg, Cinnamon, Sugar . Middle is the main body of the scent. Base Note: Vanilla, Butter, Baked Notes. Base is its final impression.